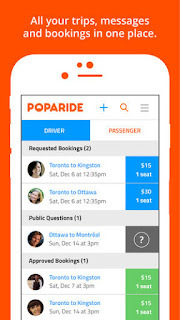 A Vancouver based car pooling app is taking over Greyhound as it left the region, the app is catching up all over Canada, you post your request to find a ride share and pay per seat and make your arrangements with the driver it is still a new player in the industry even though it's been operating since 2015 there is still many cities with few or no drivers at all but it is making transportation costs much morsimpler for those who don't mind to take a ride with a stranger. Prices are quite affordable compared to taking a taxi, uber, lyft or any other transportation means, car pooling is definately something you want to check out you can share some quality time and get to know your driver and probably keep the same driver if that is something that you feel more comfortable about. Also in Canada, is Kangaride which considers itself to be the number 1 ride sharing app, pricing is cheaper than Poparaide I find but it all depends on how much the driver is willing to charge as the apps become more popular and used the prices will be more competitive. Kangaride is older than its rival Poparide it was founded in 2006 and remains an app that needs to be checked out. Through Kangaride’s website, drivers and passengers connect to rideshare together. Drivers post their rides and the empty seats in their vehicle, and passengers search for rides and book a seat in the one that gets them where they need to go. 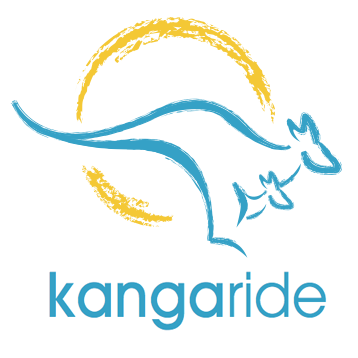 Kangaride has over 475,000 members and hundreds of rides booked each week. Kangaride has a three-pronged approach to making ridesharing safer. All rides are rated by the driver and passengers and drivers’ overall ratings are visible to passengers before booking. Kangaride is considered much safer than other car-sharing services because a background check is performed on all drivers to ensure they have a valid drivers license. section so we can include that and help others, because sharing is caring!